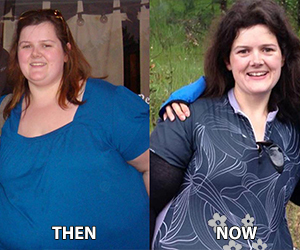 I was 31 and overweight when I moved to Sacramento in May 2011. I started a new job and a new life in a new city. I moved into an apartment right down the street from the gym and in the second week I was in town, I joined California Family Fitness. Since I didn’t know anybody in Sacramento, I figured the gym would be the perfect place to meet new people and to get a jump start on my fitness goals. I became friends with a lot of people that work at the gym, completed the Body Fit Challenge twice, and began taking several Group Fitness classes too. Some of the staff told me that they saw me more at the gym than some of their coworkers! Eventually I had the Fitness Manager call my mother on the east coast to ask her to buy some personal training sessions for a Christmas present. Through the help and support of the Cal Fit in Natomas and my Personal Trainer, I have lost 140 pounds in the past two years and am half the person I was when I moved to Sacramento. I’ve dropped 10 dress sizes and have transformed my physical health. I am now able to run a complete 5k and participate in century ride on my bicycle. I have come a long way since I first moved to Sacramento and started my fitness journey. Before becoming a member, I would have never thought that these accomplishments were possible.